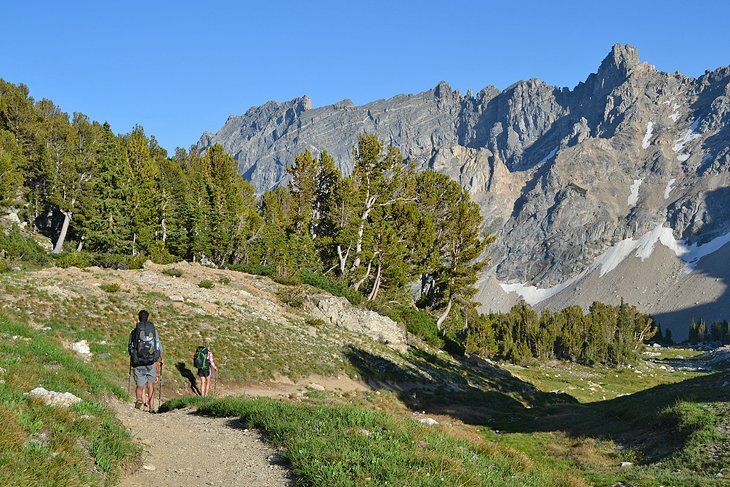 Not far from the shores of Jenny Lake, the Lower and Upper Paintbrush Canyon Camping Zones are in the Teton Range backcountry and provide nothing short of an idyllic alpine environment, brimming with big scenery and a backdrop of luscious meadows. Permits are required to stay within either camping zone. No amenities are provided, and carrying a backpack to the designated camping areas is not a stereotypical walk in the park, but the effort is well rewarded with expanding views of mountain scenery. For those with advanced planning or good timing on a walk-up permit, the Holly Lake Camping Zone, within the Upper Paintbrush Zone, accommodates only three small permitted campsites a night, but provides an enormous environment that encourages a sense of adventure.